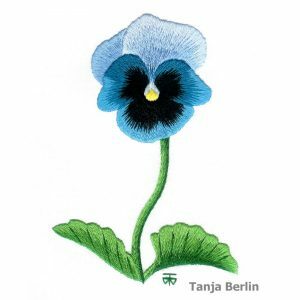 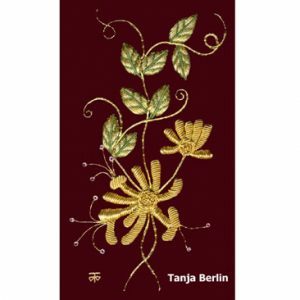 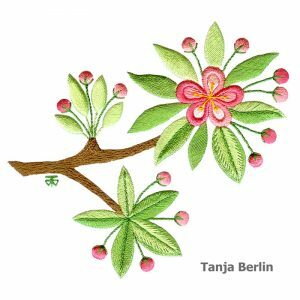 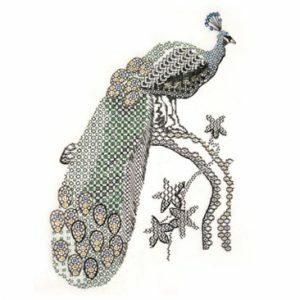 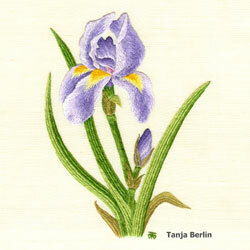 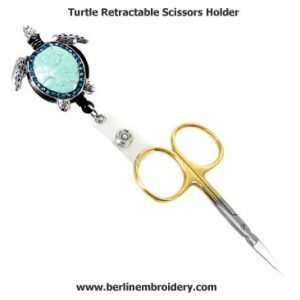 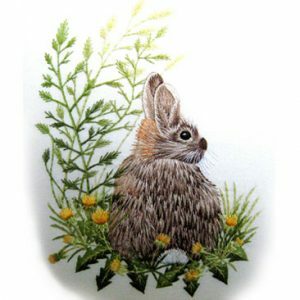 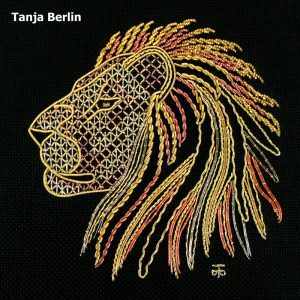 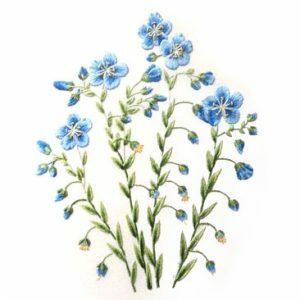 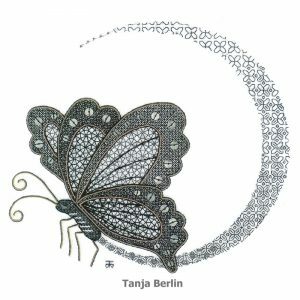 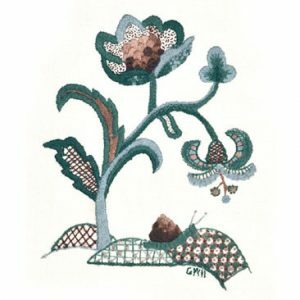 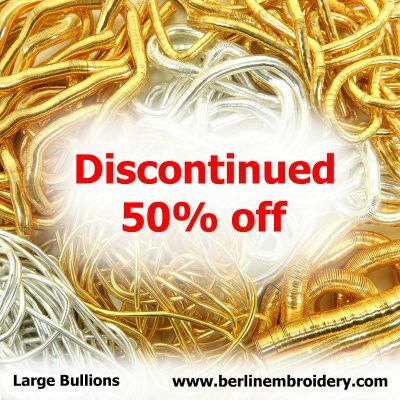 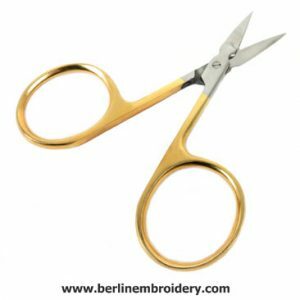 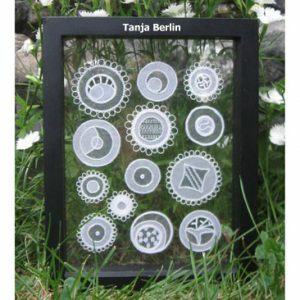 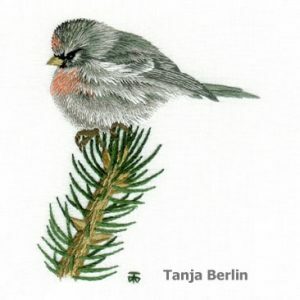 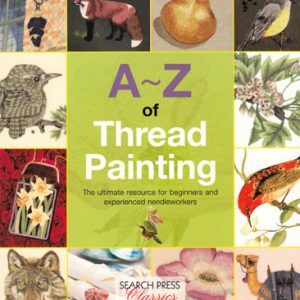 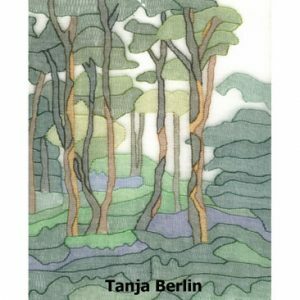 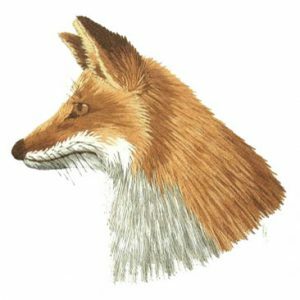 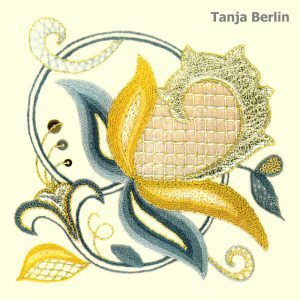 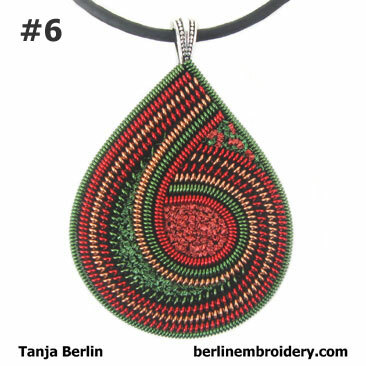 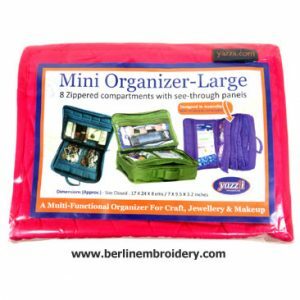 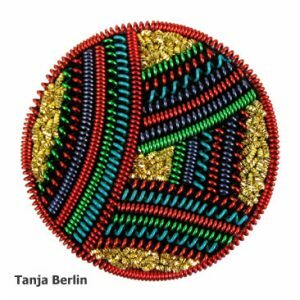 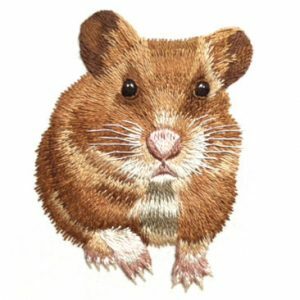 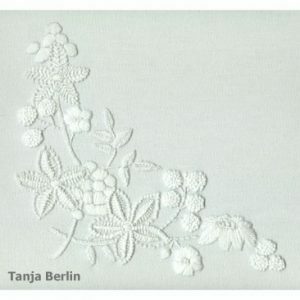 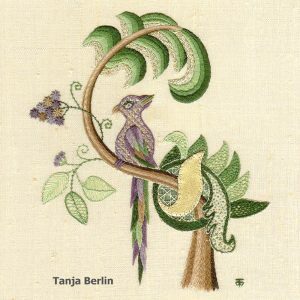 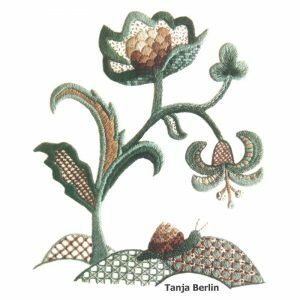 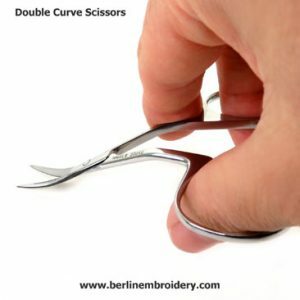 Hi I’m Tanja Berlin and I design hand-embroidery kits for other embroidery enthusiasts to stitch. 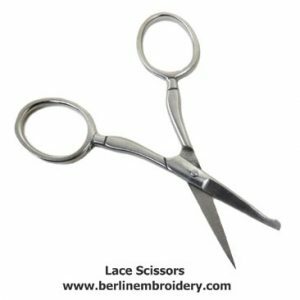 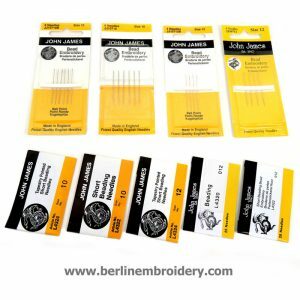 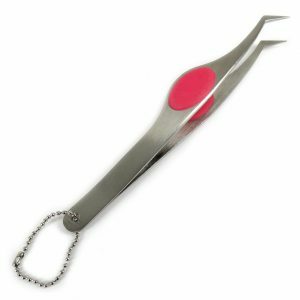 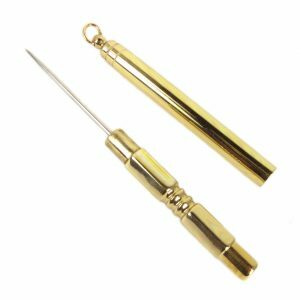 I also supply needlework threads and tools that I use myself so I can testify to their quality. 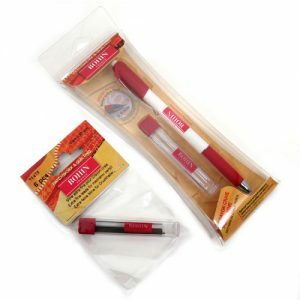 Join my Mailing List for notifications of whats new, sales and discount coupons. 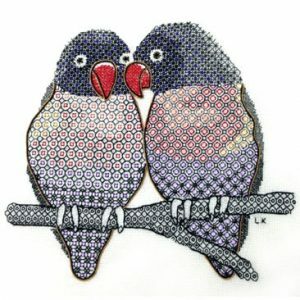 The kit of the month for April 2019 is the Blackwork Love Birds “Just the Two of US” Kit reduced by $10.00 Canadian dollars or by $35.00 Canadian dollars if you purchase the kit and 5 PDF Files with colour work-in-progress pictures for working the love birds design. 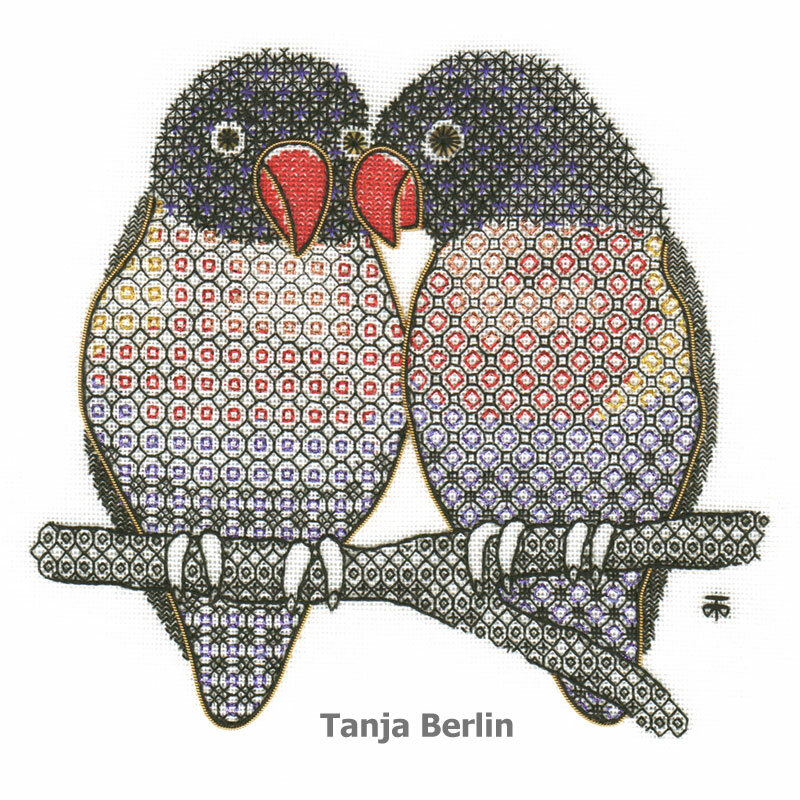 The love birds are a counted form of embroidery in which interesting patterns are worked in black, red Au Ver a Soie silk thread and colour Kreinik metallic #4 braids, Areas of the design are outlined with gold pearl purl. 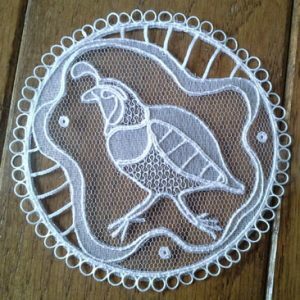 In March I had a fun conversation with Gary Parr who hosts weekly Fiber Talk Podcasts with needlework designers and enthusiasts. 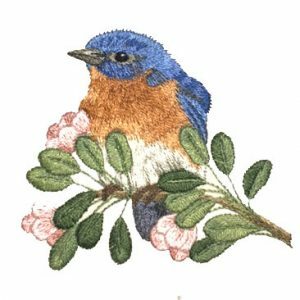 You can listen to the podcast below to hear how I started in embroidery, my journey and career in embroidery and other interests. 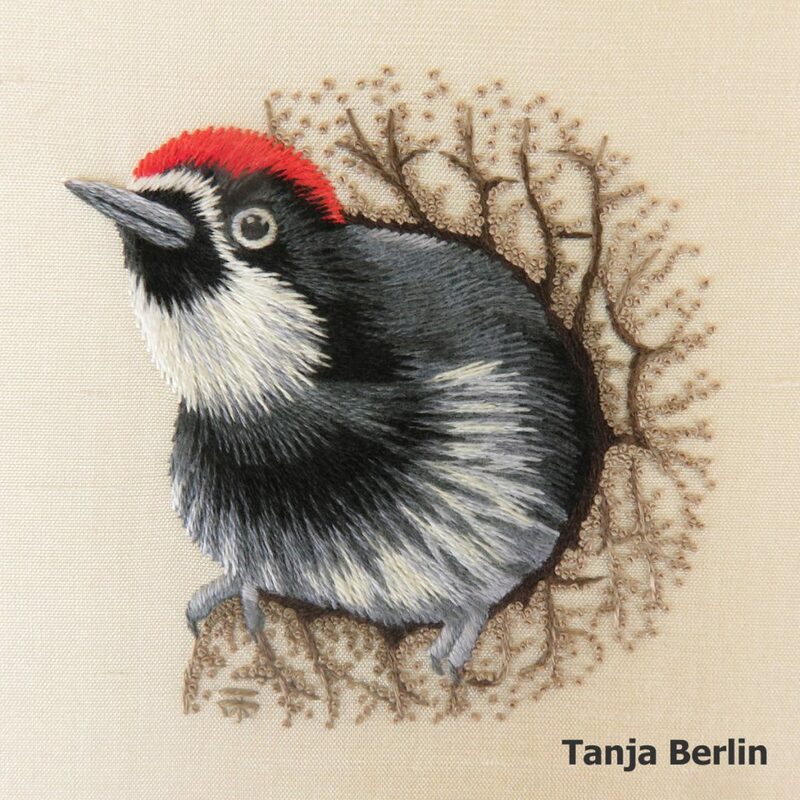 I will be teaching the woodpecker at Red Deer College (1 1/2 hour drive from Calgary airport or 1 1/2 hour drive from Edmonton airport) on Saturday 1st and Sunday 2nd of June. 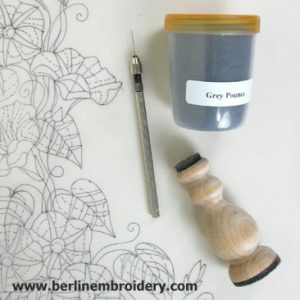 This is a fun weekend to relax with other people who love to stitch. 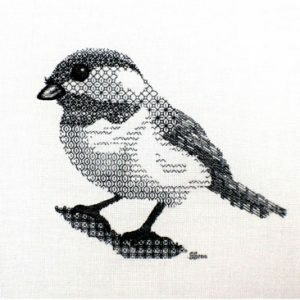 On Friday afternoon there is a retreat where you can stitch together. 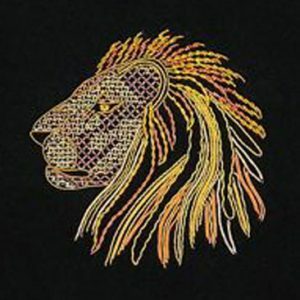 Saturday and Sunday are classes or retreat. 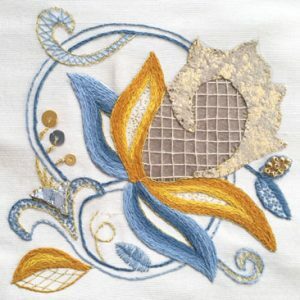 Visit the Fibre Potpourri Website for details about the weekend and classes and to register. 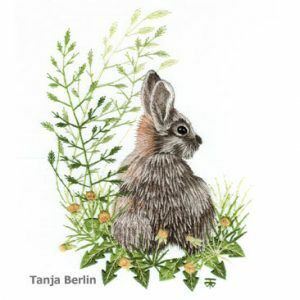 The online class will run from Friday 19th of April until Sunday 12th of May 2019. 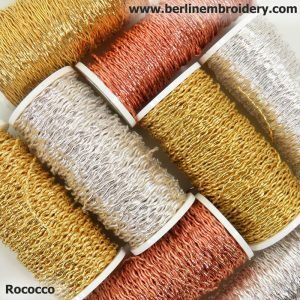 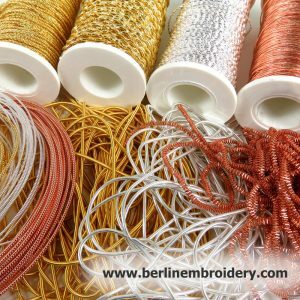 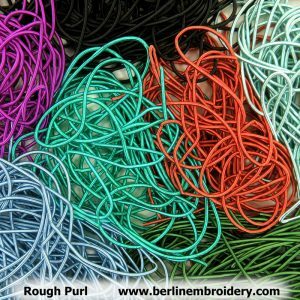 Bullions, Check Thread, Flatworm, Gimp Cords, Grecian Twist, Jaceron, Japanese Threads, Licerine, Lurex, Milliary Wire, Passing Threads, Pearl Purl, Plate, Purl Threads, Rococco, Spangles, Tambour, Twisted Threads.